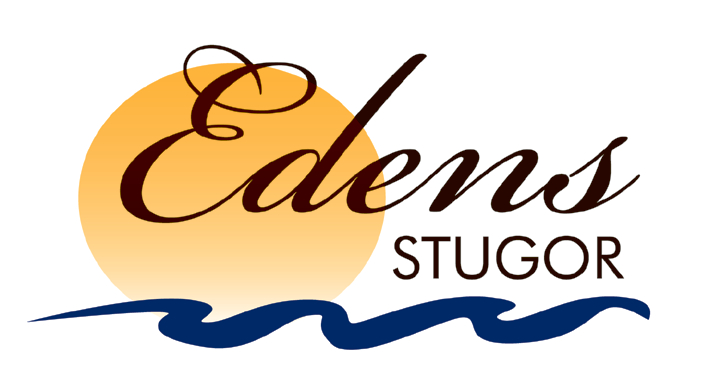 Eden's cottages are located by a sheltered sea inlet in the middle of the Åland Islands. Here you can stay comfortably in the midst of nature and enjoy sea views, bathing and fine fishing grounds. The cottages Eden A are built of genuine snagpine and equipped with all modern facilities. Newly refurbished cottages Eden B each have a cozy fireplace. The cottages are situated close to Åland Golf Club's first-class golf course and Åland's major historic sights, them including Kastelholm Castle, the Bomarsund fortress ruins and Jan Karlsgården open-air museum. Our establishment is open year round.